Growing up in the Udall family meant growing up in the outdoors. My dad loved the land, and he taught us to love it too. This is not an abstract idea. For me, it is a clear picture. The way the New Mexico mountains look under the Western sky. The crisp, cold feeling on the trail, just before dawn. That first ray of sunlight in the morning. As we celebrate the 50th year anniversary of the Wilderness Act, two things strike me. First, the Wilderness Act was a starting point. It was historic, monumental legislation, but a beginning, not an end. Second, we will pass the torch some day to a new generation. They will need this connection, this love for the land. That is something that must be experienced, first hand and, in an increasingly wired, online world, it is perhaps more important than ever. One of my favorite places is the Gila National Forest, the nation’s first wilderness area, in 1924, forty years before the Wilderness Act. 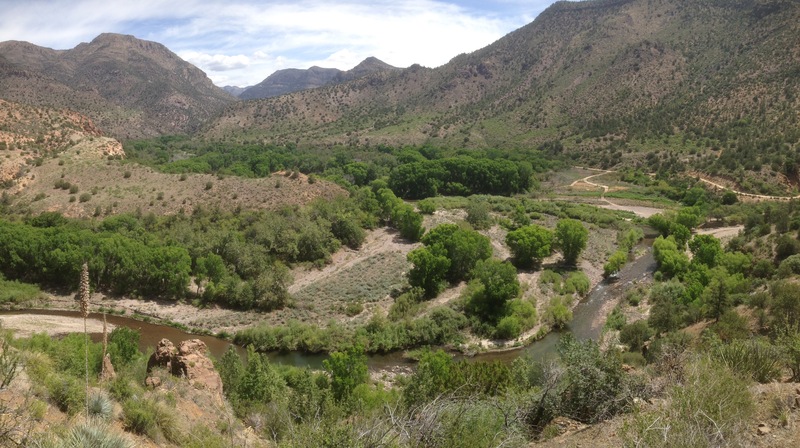 Thanks to Aldo Leopold, this was a milestone in the conservation movement and for New Mexico. To hike the Gila is to follow legendary footprints, to hear echoes of the past, from Geronimo to Ben Lilly, from the Mogollon and Apache to Spanish explorers searching for gold. The Gila is so rich, in its history, and in its incredible spaces, like Raw Meat Canyon and Grave Canyon. I do some of my best thinking when I’m outdoors, on the trail, in the great, quiet stretches of wilderness. Our time on this planet is brief. The world changes very fast, sometimes too fast. The wilderness teaches us to pause, to see what is enduring, what is unchanged, and to see how all life is connected. This is humbling, and uplifting, this sense of connection to something so much larger than ourselves. We have come a long way from the days of Teddy Roosevelt, when House Speaker Joe Cannon famously said, “Not one cent for scenery!” That seems comical now. It probably was comical to a lot of folks even then. But, it speaks to the uphill battle, the necessary vision, to sometimes go against the current. When my dad was Secretary of the Interior, for Presidents Kennedy and Johnson, he always said that we hold land in trust. He had one main goal—a revival of respect for the environment. He used to say that back then, you could fit the conservation movement into a broom closet—and still have room for the brooms. He worked with legends, like Rachel Carson, to move the nation forward and protect these treasures. My dad, Rachel Carson, the Wilderness Society’s Howard Zahniser, New Mexico’s Senator Clinton Anderson, and so many others—that great generation—they left big shoes to fill. We are all the beneficiaries of their vision, and their determination. They helped pave the way, and created landmark legislation. Not only the Wilderness Act, but also the Clean Water Act, the Land and Water Conservation Fund, and the Wild and Scenic Rivers Act, preserving millions of acres of the American landscape for generations to come. It was hard work. But, Democrats and Republicans worked together. They understood that our common heritage, our national treasures, and the health and safety of American families, should not have a party label. They knew Speaker Cannon was wrong. It wasn’t just about scenery. It was a way of looking at the world that has changed the world. People want to visit—and work and live near—these treasures. This strengthens communities, grows our economy, and creates jobs. We’ve made great progress. But, as Robert Frost said, we still have miles to go. Congress has not passed significant public lands legislation in over four years. The struggle to protect the environment continues. But, let’s remember, the Wilderness Act wasn’t easy either. Even with bipartisan support, it was a long road to the finish line. It took 8 years and over 50 revisions, before President Johnson finally signed the Wilderness Act into law. Thanks to the Antiquities Act we have had some victories, like Rio Grande Del Norte and Organ Mountains-Desert Peaks National Monuments, right here in New Mexico. Also, after years of hard work, legislation to designate the Columbine-Hondo as wilderness, first introduced by former Senator Jeff Bingaman in 2012, passed last year. 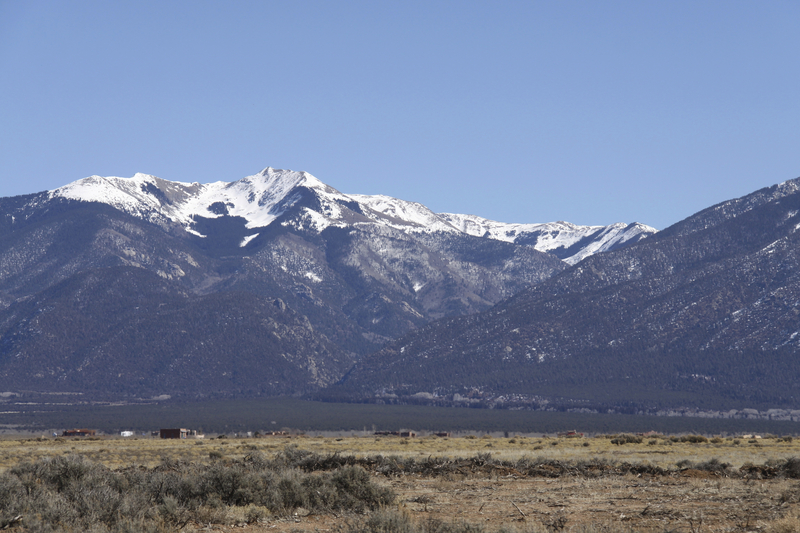 New Mexico is rightly called the Land of Enchantment, because of these natural treasures. They put our state on tourist maps all over the world, and every day they enrich the lives of residents and visitors alike. As Georgia O’Keefe once said of our spectacular landscapes, “The world is wide here.” And it is. It is hard to imagine a world where the wilderness is not wild. The outdoors is our second home. But, for those who do not share this connection, it sounds more like an abstraction, a luxury, instead of a central part of human experience. Our natural treasures are priceless. If we lose them, no amount of money can buy them back. Wallace Stegner, one of our greatest writers, wrote that “something will have gone out of us as a people if we ever let the remaining wilderness be destroyed.” I think this understanding really shines through from all the contributors to the Wilderness Thinkers series, and from all those who still strive every day to protect our iconic places. All of us have felt this reverence for the earth, thanks to those who came before us. It is their gift to us, held in trust, and one we will pass on to those who come after us. We honor our past, but it should challenge us, not to just look back in gratitude, but to look forward with renewed commitment. We owe that to future generations. What will they celebrate a half century from now? What will we leave them? I hope we leave them a safer planet, where the threat of climate change has been met, where a clean energy economy is thriving, and where our natural treasures are protected. So our job is to keep up the fight, to stay the course. Wilderness is not a luxury. It is a habitat for America’s wildlife and a refuge for America’s people. Long after we are gone, a new generation will hike historic trails, watch the sky come up over the mountains, and they will know—the land remains, much as it was when humans first saw it. 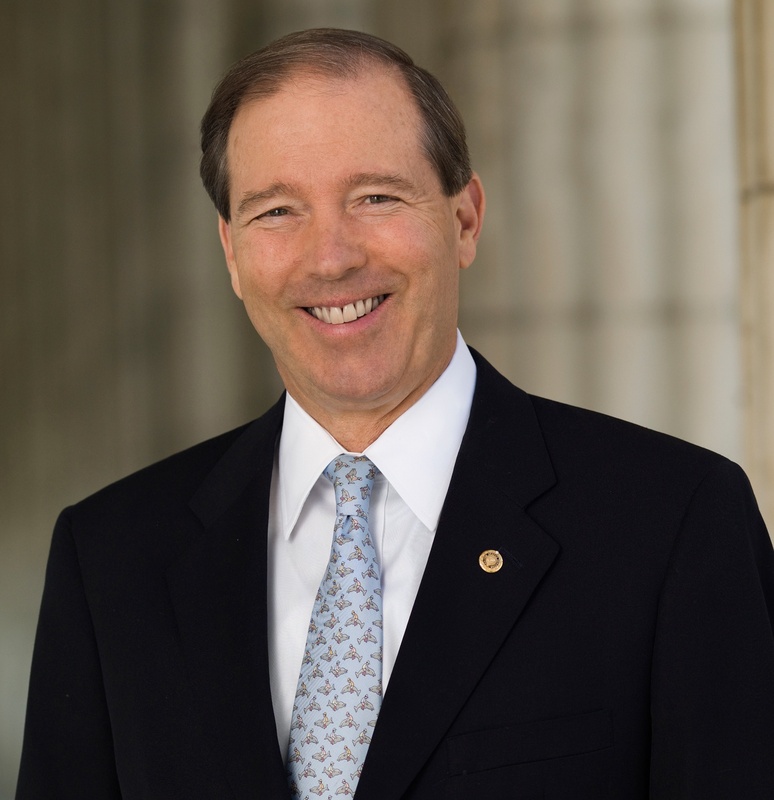 Senator Tom Udall has served the people of New Mexico for twenty-five years. He was elected in 1990 as New Mexico Attorney General, and to the U.S. House of Representatives in 1998. He became New Mexico’s 17th United States Senator on January 6, 2009, and was re-elected in 2014. Throughout his career, Senator Udall has been a strong advocate for the hardworking families of New Mexico, for a clean energy economy and the environment, for affordable and accessible health care, for education and workforce training and for our nation’s veterans. He has championed efforts to protect cherished landscapes, establish a national renewable electricity standard and reduce global warming emissions. In the Senate, he serves on five committees, including the Appropriations committee, where he continues to fight for the resources to protect our wilderness areas. Senator Udall is married to Jill Cooper and they have one grown daughter. In his spare time, he enjoys tennis, fly-fishing, hiking and mountain climbing.